Take a trip to London, and you’ll inevitably ride the iconic Underground train network. It’s unique insofar as it’s almost entirely isolated from the outside world. No phone signals are powerful enough to penetrate through the ground and bedrock, to where the rolling stock lies. Riding it outside of rush hour is a weird sort-of bliss, where people just sit quietly and wait for their next stop; the only noise being the drum and bass bleeding from someone’s headphones. 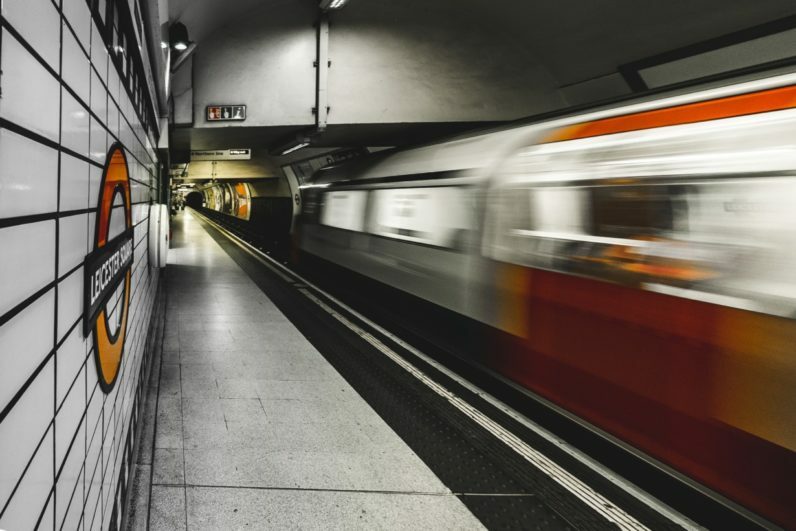 That quietness will soon be shattered, as London mayor Sadiq Khan plans to bring full 4G coverage to the Tube network, starting from 2019. This would put London’s underground rail system on par with other cities, like Seoul, Tokyo, New York, Paris, and Amsterdam. I’m in London roughly once a month, either with work or to see friends, and I’m not thrilled about this. Phones are a blessing and a curse. On one hand, it’s amazing to have the sum of the world’s information in a black slab of metal, sat in your palm. It’s nice to be able to reach to anyone in the world, anywhere. It allows you to be spontaneous, and to plan things at zero notice. But do we need that all the time? Is it such a tragedy that, for two hours every day during our commutes, we’re unreachable? Phones can also overwhelm. They make it significantly harder to detach from work, pouring gasoline onto any existing burnout. One 2012 study from the University of Gothenburg found a link between how easily someone is accessed via their phones, and an increase in presence of mental health issues. A subsequent study from 2014, involving researchers from University of Florida, Michigan State University and University of Washington, showed that most knowledge workers are so attached to their phones, they were making themselves exhausted and unproductive. There’s something weirdly therapeutic about being forced to detach from the digital world. There’s no Slack or email messages to respond to. You can instead read a book, or listen to some music, or perhaps just sit and stare vacantly at the bulkhead in front of you, reading and re-reading the adverts and maps, and counting down the stations until you reach your destination. And then there’s the argument that the tube, punctuated with the cacophony of other people’s phone conversations, would just be utterly ghastly. Imagine what it’d be like during rush hour. You’re standing cheek-to-jowl next to someone barking instructions to their assistant into an iPhone, or ordering a dominos, or just gossiping about… something. Unfortunately though, it’s also inevitable. The UK Home Office is currently modernizing the communications network used by the emergency services from the existing Airwave system, to one based on the 4G network, and built by the mobile giant EE. If Khan’s administration didn’t introduce phone service to the underground, the British Transport Police wouldn’t have access to their radios, which would present a huge public safety issue. Oh well. It was nice while we had it. I’ll miss our phone call-free tubes.